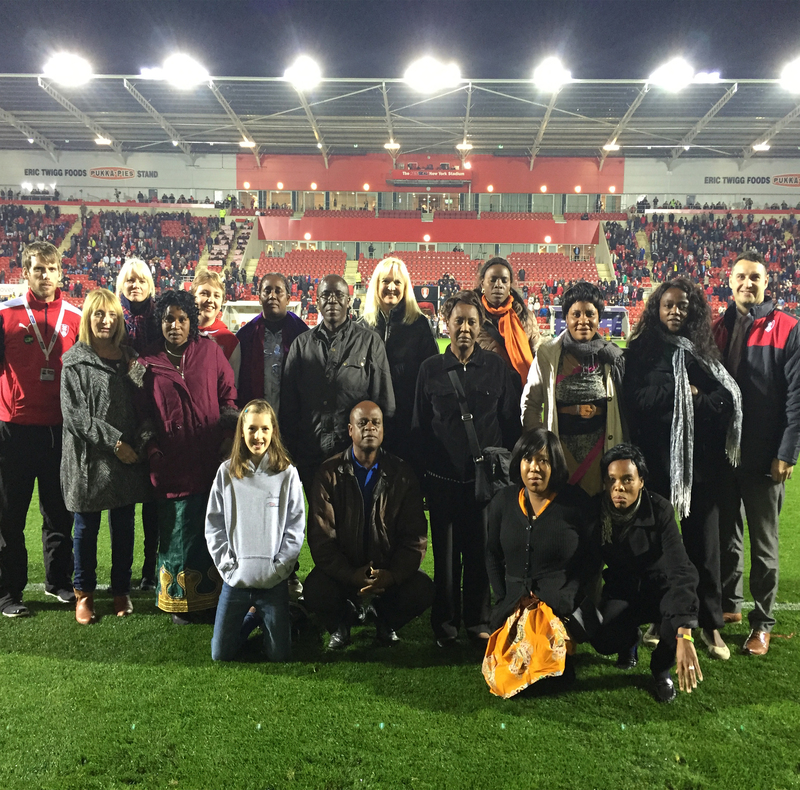 13 teachers from Zambia attended our home fixture against Burnley on the 2nd of October 2015, the teachers have been in Rotherham Visiting 6 local schools as part of the Rotherham Kalulushi Partnership which was founded in 2010 when Dalton Listerdale J&I partnered with Mitobo Basic School. The Rotherham Kalulushi Partnership is an organisation that is dedicated to friendship, partnership and mutual learning in Rotherham and Kalulushi Schools. The Partnership began in 2010 as part of a Creative Partners Project at Dalton Listerdale J&I School in Rotherham, UK. The school’s Creative Practitioner visited Zambia to look for a school that Listerdale could link with. From that, a friendship developed between Listerdale and Mitobo Basic School in Kalulushi, Zambia. The Ministry of Education and the Mayor of Kalulushi became involved to back the friendship and begin to spread the partnerships with other schools, since this around 20 schools are now taking part in the Rotherham Kalulushi Partnership. If you want your school to get involved in this exciting project, get in touch with The Rotherham Kalulushi Partnership at www.kalulushi.org.